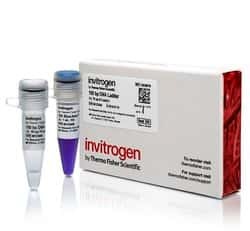 Invitrogen 100 bp DNA Ladder is designed for sizing and approximate quantification of double-stranded DNA in the range of 100 bp to 2,000 bp. 100 bp DNA Ladder consists of 13 individual chromatography-purified DNA fragments and has reference bands at 2000, 1500, and 600 bp for easy orientation. 100 bp DNA Ladder is ideal for separation on 1–2% agarose gels. 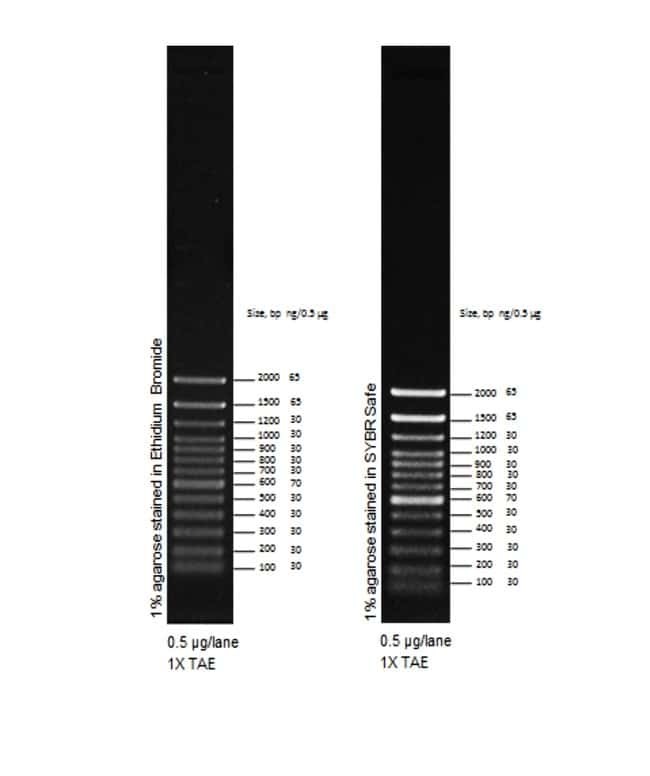 The double-stranded DNA ladder can be visualized on 1–2% agarose gels after ethidium bromide or SYBR Safe staining. The ladder is designed with a uniform intensity of DNA bands for a clear view of each band. An exact amount of DNA in each band allows approximate quantification of DNA samples.